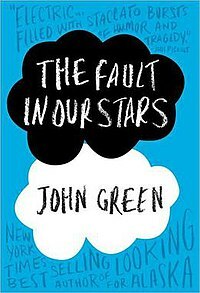 When sixteen year old Hazel is diagnosed with Thyroid cancer, a disease that forces her to wear a breathing tube 24/7, her parents make her attend a cancer patient support group where she meets leg amputee Augustus Waters. After Hazel convinces him to read her favorite book, ‘An Imperial Affliction’ the two begin to spend time together and become friends. As they become closer, Augustus tells Hazel that he wants to use his wish from ‘The Genies’ to take them both to Amsterdam to meet the reclusive author of their favorite book in order to find out the mystery behind the mid-sentence ending to the book. After a week stay at the hospital after catching pneumonia, Hazel agrees to go to Amsterdam with Augustus and her mother to meet the mysterious author. Both on the verge of death, the two head to Amsterdam where they will discover the true meaning of love, loss, and disappointment. The Fault In Our Stars is yet another masterpiece from the genius mind of John Green. As always he writes up characters that any reader can relate to, root for, and enjoy. Green plays with the idea of death a lot in the book, at one point Augustus explains that he keeps cigarettes in his mouth but doesn’t smoke them in order to put the killing thing between his teeth but not give it the power to kill. It’s ironic since Augustus has a killing cancer in his body but it has full power over his life. In the end the story will make you laugh, cry, and smile like an idiot as well as miss every character you meet. This book deserves to be read by everyone since there is something in there for everyone.